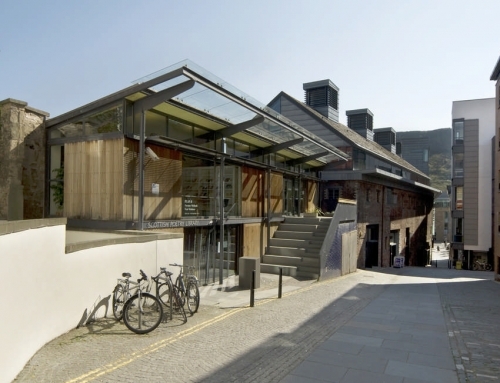 – Connectivity of the site within the local area, wider Edinburgh and further afield. – Place for People to Live, enriching lives and form sustainable long term communities as opposed to dormitory towns or guarded housing. Yesterday, AiA Art in Architecture, representing the JUMP groups contra master plan for the Leith Docks site, met with Forth Ports PLC and RMJM Architects. The meeting lasted an hour. 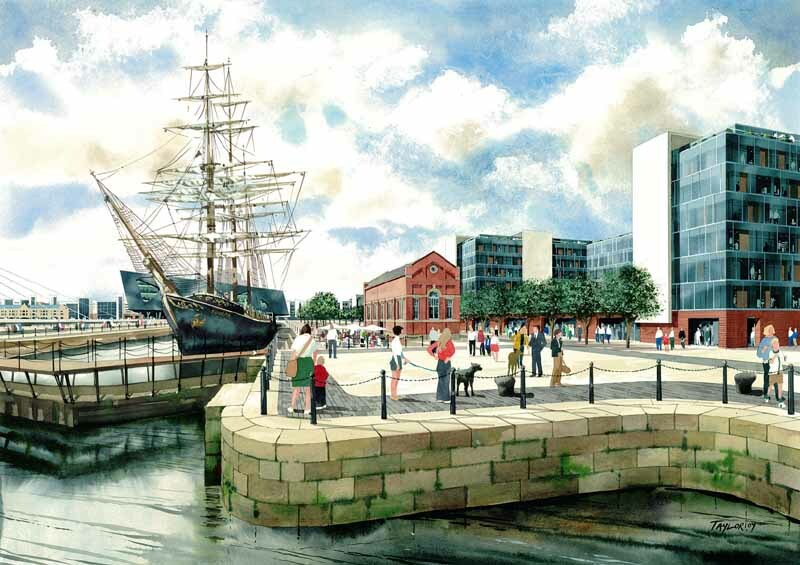 The reasons for wishing to present the JUMP groups contra master plan for the Leith Docks site were explained. All parties were able to express their points of view. Forth Ports, basically said that the JUMP group were wasting their energies focusing on the live outline planning application for the Leith Docks master plan framework. Forth Ports and RMJM reiterated how much time had been spent developing the RMJM proposal to date. However, Nathan Thompson, Managing Director of Forth Ports did say they would be open to JUMP presenting the contra master plan once the group felt ready to do so. 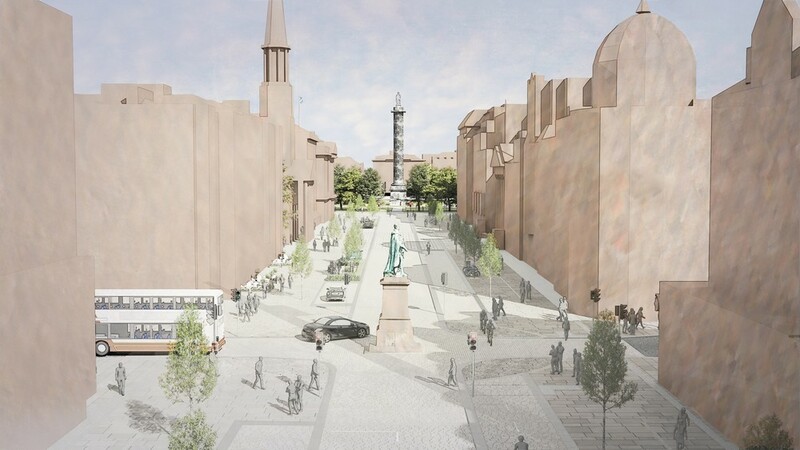 It was also suggested by Nathan Thompson that JUMP focus on the HUB site and first two of the nine villages proposed for the Leith Docks site as these areas are currently being assessed by the City of Edinburgh Council for Planning Permission. 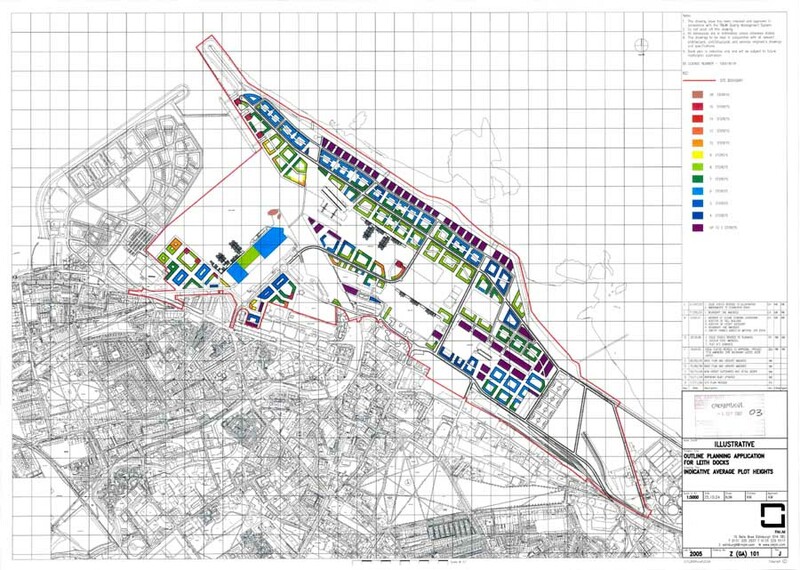 It was explained at the meeting by Ross McEwan that although this was of interest, the JUMP group could not logically make comment on the HUB and first two villages when in fact the JUMP group was not supportive of the overall Leith Docks master plan framework. 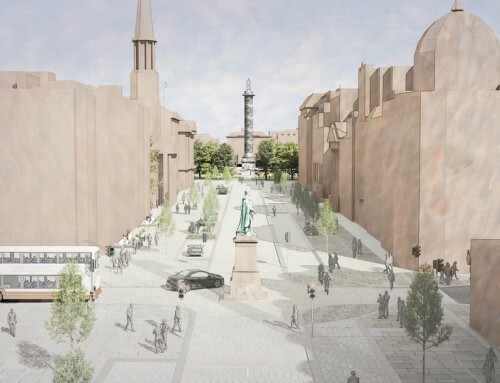 Again, AiA Art in Architecture informed everyone at the meeting that the JUMP group intended to present a contra master plan for the entire Leith Docks site. 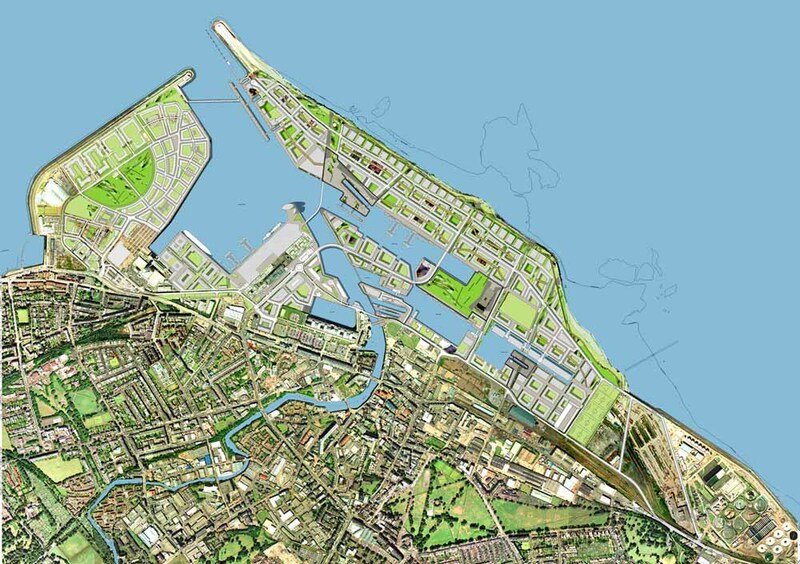 It was expressed by Forth Ports that more than adequate public consultation had now taken place with regard to their development proposals and that they believed everyone in the local community, the general public, the urban design profession and City of Edinburgh Council officers were fully aware of all aspects of their intended development strategy for the Leith Docks site. 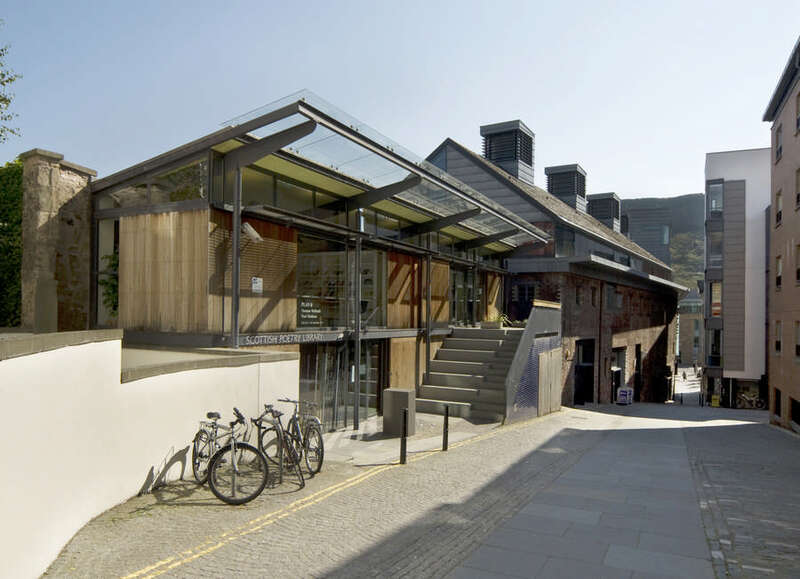 Tony Kettle of RMJM Architects implied on several occasions throughout the meeting that AiA Art in Architecture or the JUMP group did not have the experience or sufficient understanding of the RMJM proposals to comment on the live master plan framework. 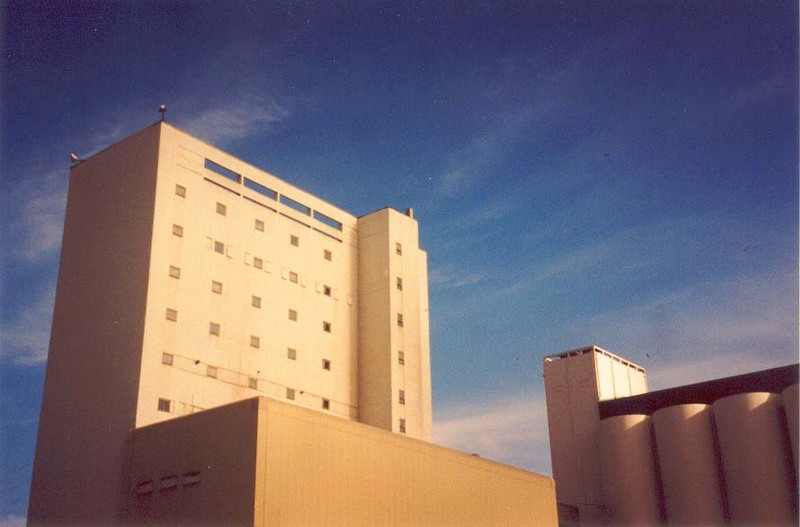 Strangely enough, AiA Art in Architecture are now receiving emails and letters from general public and professionals within urban design, locally and internationally. 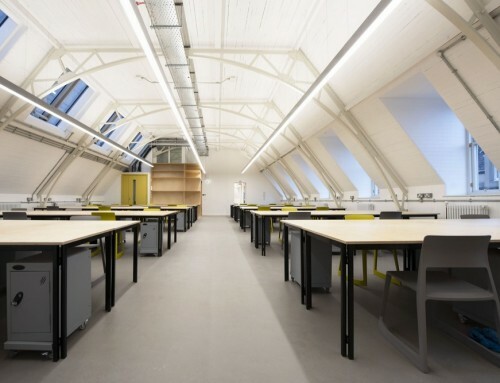 Consequently, we will add all comments received to our website as we develop it: www.artinarchitecture.co.uk. 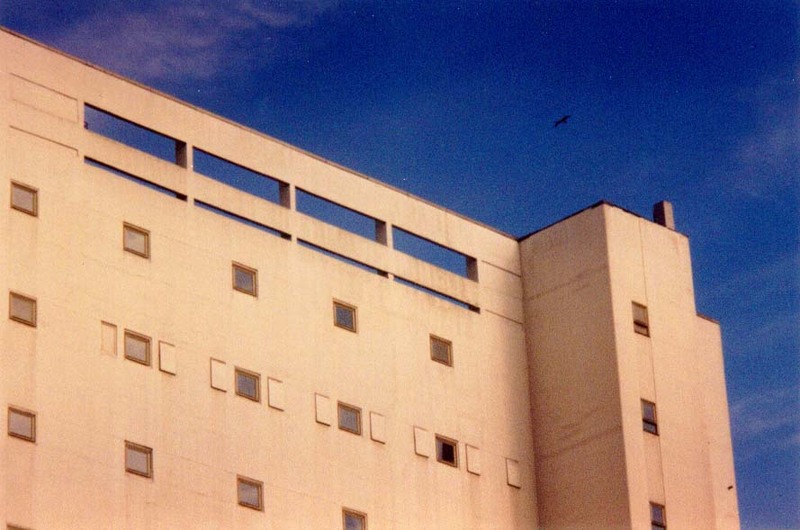 JUMP clearly wish to develop the conceptual proposal for a contra master plan to a presentable and viable standard. We hope that anyone wishing to participate will now take the opportunity to come on board with the JUMP group or either make their comments known or by adding to those we have already received. This is an open interactive group that meets regularly every Thursday between 6-8pm from our office/gallery in Leith. All most welcome. If you have been aware of our project to date and have a comment or opinion that you would like to raise and to be quoted on please email your points to us so that we can present it in a printed document to Forth Ports. 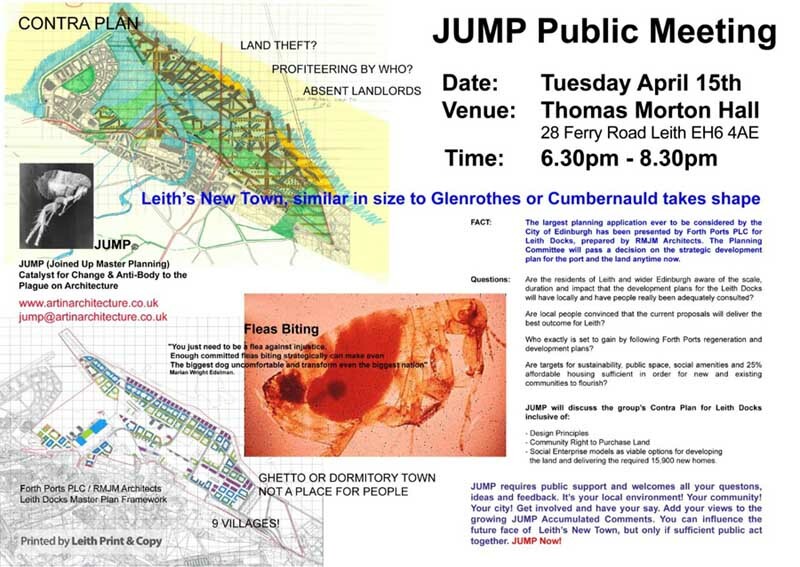 The JUMP Group has decided that it is not appropriate to show the developing contra master plan for the Leith Docks site at this initial meeting. Although the design concept is strong JUMP is reliant on those that participate of their own free will to add their varied professional viability to the final contra proposal. When at a suitable stage the contra master plan will be made public. 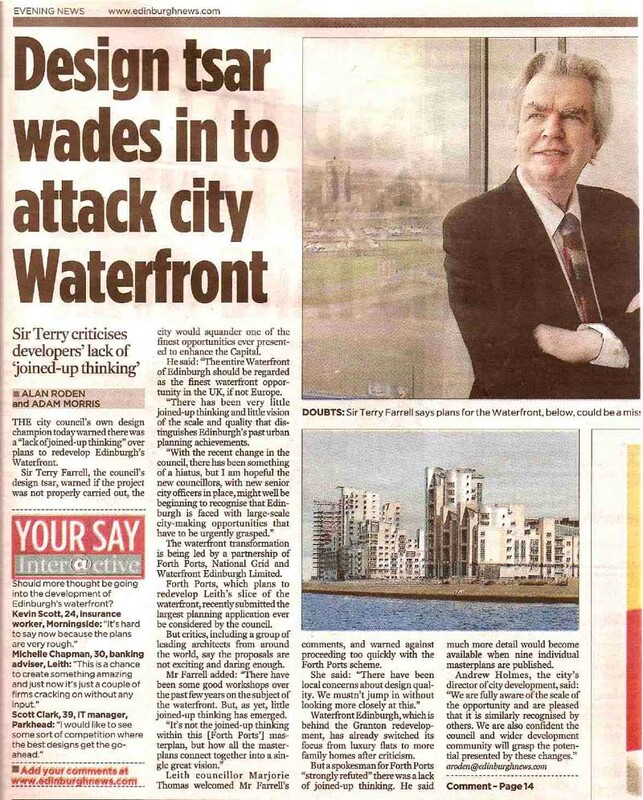 AiA Art in Architecture have been leading the project to readdress the long term proposals for the Edinburgh Waterfront. 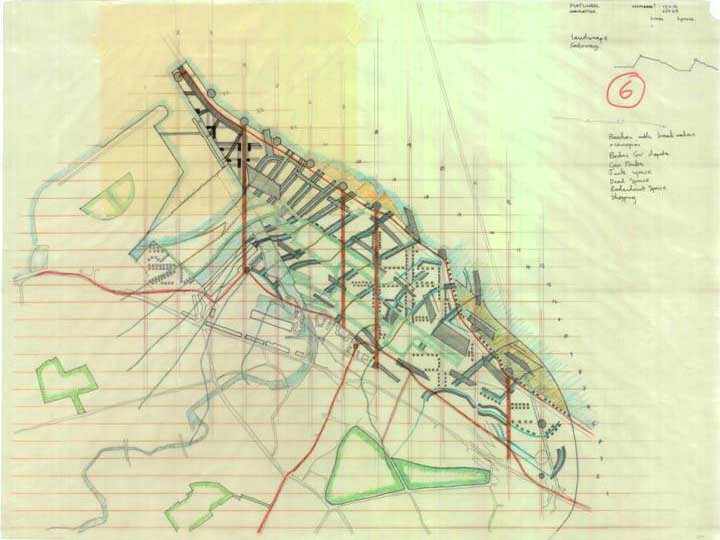 As many of you know we have worked collaboratively with Dennis Crompton of Archigram, Royal Gold Medallists for Architecture, in order to raise the profile of the Edinburgh Waterfront. 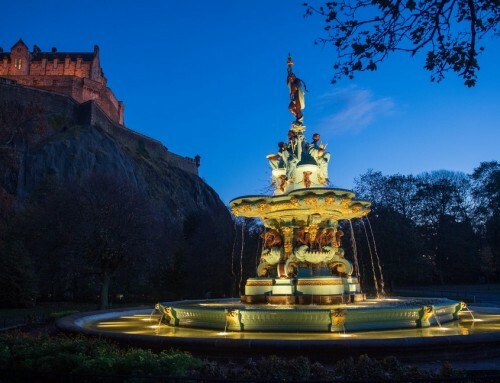 A symposium was held in June 2007 entitled, EDINBURGH: A Symposium on the City in the 21st Century. 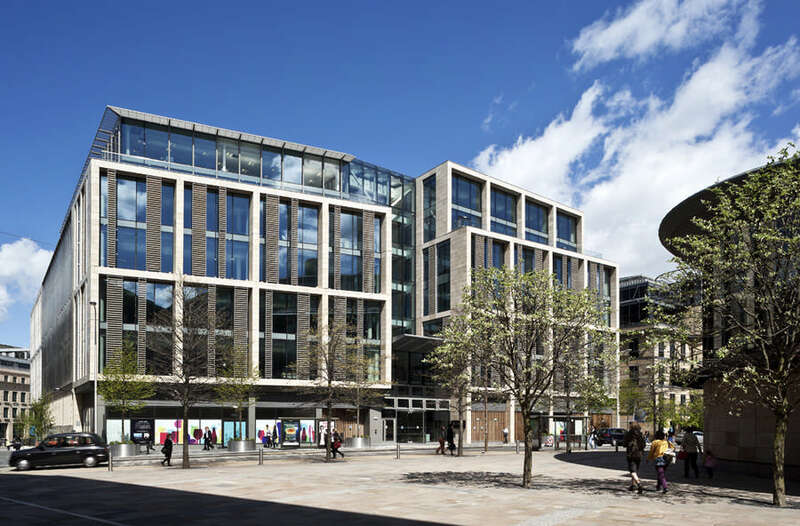 We believe the massive development plans for the city require critical appraisal in order for the true potential for this development be grasped. 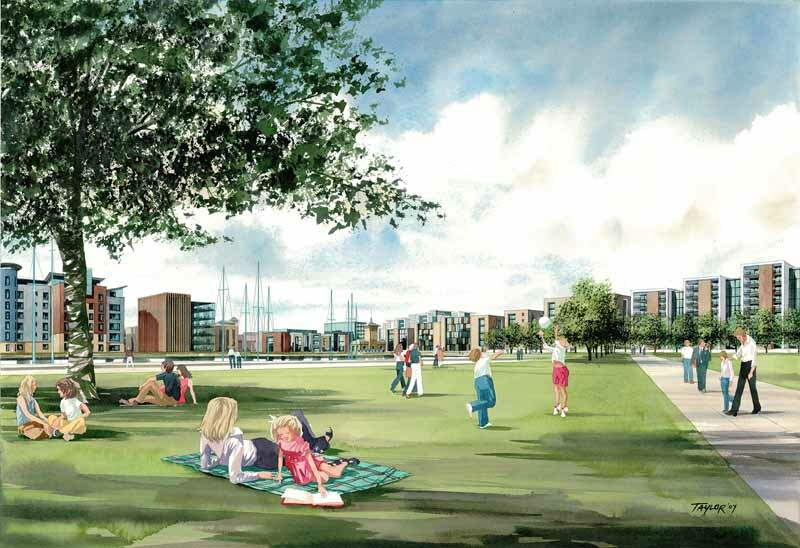 Without significant critical appraisal the continued development of the Edinburgh Waterfront will only deliver short term returns for landowners and developers. It has not and will not deliver people orientated places to live, work and enjoy. Design, place making and a strong cultural strategy are all insignificant in current development programs. 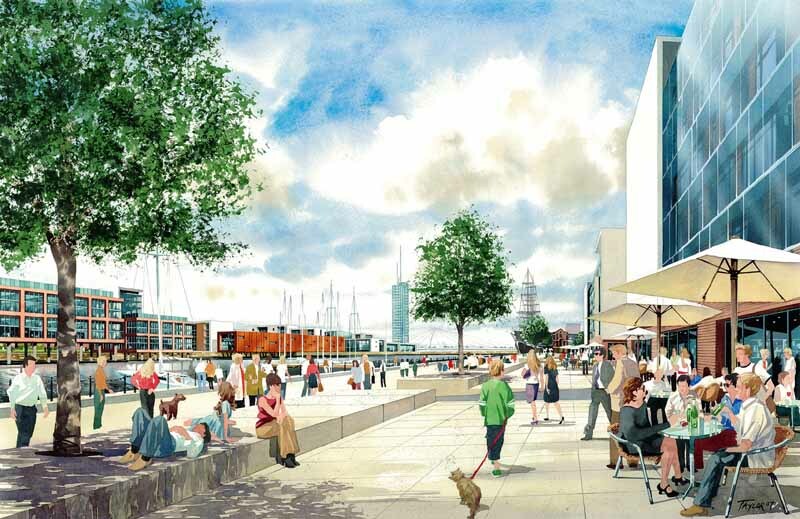 Density, infra structure, transportation requirements and physical links between the waterfront and other areas of the city and further a field have not been thought out adequately. 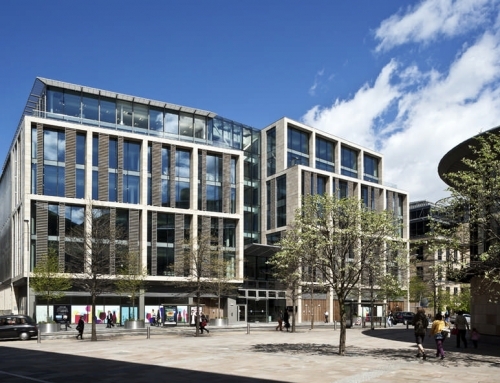 – Development of over 100,000 square metres of new office floor space, able to accommodate anything from small businesses up to a major headquarters development.